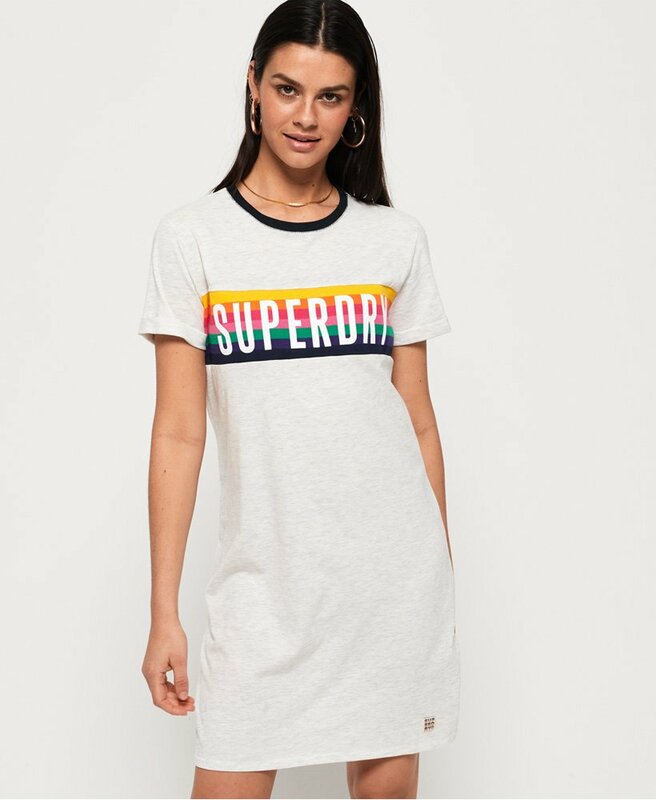 Superdry women's Sanita ringer t-shirt dress. Off duty style has never been easier thanks to the Sanita ringer t-shirt dress. Effortlessly versatile, this dress features a classic crew neck with contrasting collar, rolled sleeves and a Superdry graphic on the chest. Finished with a logo badge above the hem, style this t-shirt dress with trainers and a bomber jacket for everyday cool.